As Executive Director at the Walnut Creek Library Foundation, Susan helps lead the organization’s mission to raise philanthropic and corporate support, create cultural and educational programs for the community, and advocate for the Walnut Creek libraries. She was previously program manager at Build Healthy Places Network, which is a San Francisco-based nonprofit dedicated to improving low-income communities. 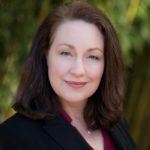 Susan has 10+ years of development experience, working in leadership gifts and corporate relations at the Robert H. Smith School of Business, University of Maryland and Harvard University. Susan is a graduate of Wellesley College. After several moves between the west and east coasts, she now lives in Walnut Creek with her family and dog, Cooper. 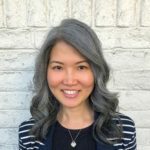 As Program Manager, Jennifer provides program support to the Executive Director through managing the marketing and communications for the Walnut Creek Library Foundation and coordinating special events and programs. Jennifer is also the president of JAC Marketing Associates, a marketing and communications consultancy designed to help corporate marketers, business owners, and non-profits develop the strategies and tools to fuel their marketing efforts. Jennifer has a 20+ year career in corporate marketing, working as a Marketing Director in the beauty, wine, and education industries throughout the US. Jennifer is a graduate of the University of Washington. She now lives in Lafayette with her two children.